In the summer of 2013, come follow or fly along with the Alaska Aviation Centennial Celebration. Click on the map to get the schedule for that city. Making history once again, watch warbirds and vintage aircraft featuring the Japanese Zero, two T-6’s, American Pilgrim and L-13 as they depart Merrill Field marking the start of the Centennial Celebration of Flight! Watch Warbirds and Vintage Aircraft as they fly into Cordova and demonstrate a “race track” pattern and fly-bys at Mudhole Smith Airport (traffic and weather depending) recreating the actual event that day in 1913. The pilot’s arrival will officially open the afternoon of festivities including the “Meet and Greet” the Centennial Pilots, stories about the First Flight, and facts about each aircraft at the static aircraft display. Dinner and pilots talk at the Masonic Lodge hosted by the Cordova Chamber of Commerce. $10 for public, free if you bring a side dish. 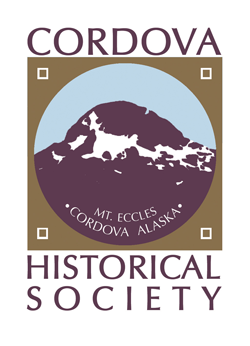 Historical Society Program hosted by Cathy Sherman at the Cordova Museum featuring historical Exhibit to include interpretive displays brought by visiting pilots. 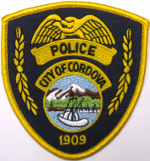 The Cordova Chamber of Commerce will be hosting the Centennial pilots for breakfast at the Killer Whale Café. The Mt. Eccles Elementary School will host a student assembly with the Centennial Pilots. The students will hear the pilots stories about the First Flight, interesting historical facts regarding the aircraft they are flying and stories about significant pilots and regional flights. Watch Warbirds and Vintage Aircraft as they fly-into Valdez Airport and open the Centennial Festivities of the Valdez Fly In. Throughout the day, there will be a Static Display featuring the warbirds and vintage aircraft at Valdez Airport. Youth Outreach at the Civil Air Patrol Hangar at the Valdez Airport. Barbecue hosted by the Gilson Middle School and Valdez Air Show Association. Centennial Pilot Chuck Miller awards Gilson Middle School Essay winner a ride in the T-6. Centennial Celebration pilots attend the Friday Burgers and Brew event located in the Valdez Airport terminal. “Meet and Greet” the pilots at the Valdez Fly In will be announced periodically through the day. Get close-up and personal with the aircraft and pilots during a “Meet and greet” at the static aircraft display. Learn about the First Flight and facts about each aircraft on display on the airport ramp. Drawings for free prizes and free posters will be available for pilot autographs. Once again, the Centennial Pilots take to the air, flying a “race-track” pattern at Valdez Airport, recreating the actual event that day in 1913. “Meet and Greet” the pilots at the Valdez Fly In will be announced periodically through the day. Learn about the First Flight and interesting facts regarding each aircraft being flown. Drawings for free prizes and free posters available for pilot autographs. The Centennial Pilots featured at the Valdez Fly In Awards Banquet held at the Valdez Airport Terminal. Hear the story about the first flight and the celebration planned. Centennial Pilots take to the skies and present aerial demonstrations to include fly-by and “race-track” pattern flying recreating the First Flight event in 1913. Centennial Pilots take to the skies and present aerial demonstrations in celebration of the First flight to include fly-bys and “race-track” pattern flying. Group photo with Centennial Pilots and other aerobatic planes. As traffic permits, the Centennial Pilots will barnstorm into the Talkeetna Hudson Memorial Fly In by flying “race-track” patterns and fly-bys to let the town know the Warbirds and Vintage Centennial Aircraft are there. Upon landing (contact Flight Service), local community volunteers will marshal the centennial aircraft to parking. 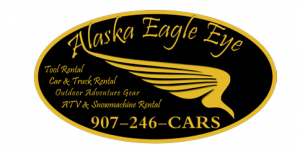 A Static Display of warbirds and vintage aircraft will be available to the public for viewing at the Talkeetna Airport through the day. 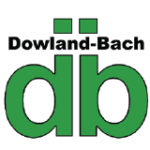 Museum Exhibit will be on display at the Don Sheldon Community Arts Hangar featuring interpretive panels on the First Flight and historically significant pilots and regional events. Get up close with the Centennial Pilots and aircraft at the “Meet and Greet”.Talk with the pilots and learn more about the warbirds and vintage aircraft at the Talkeetna Airport. Drawings for free prizes and free posters will be available for pilot autographs. Come to the Talkeetna Airport to enjoy the Pancake Breakfast with the Centennial Pilots. See the Warbirds and Vintage Centennial Aircraft as they depart the Talkeetna Hudson Memorial Fly In. An aerial demonstration to include fly-bys and “race track” patterns will commemorate the first flight in 1913. Come and watch the Centennial Pilots arrive at Bryant Airfield conduct aerial demonstrations featuring select warbirds and vintage aircraft, weather and traffic permitting, to include fly-bys and “race-track” pattern flying commemorating the first flight in 1913. Get close-up and personal with the aircraft and pilots during a “Meet and greet” at the static aircraft display. Learn about the First Flight Story, historically significant regional pilots and flights, and facts about each aircraft on display on the ramp. Drawings for free prizes and free posters will be available for pilot autographs. A Museum Exhibit will be on display at the Airfield featuring interpretive panels about the First Flight and histori- cally significant pilots and regional events. Join the pilots and community for an fun afternoon featuring a community potluck and barbecue with pilot talks, aircraft viewing, and door prizes and more. Come and watch the Centennial Pilots arrive at Homer Airport and conduct aerial demonstrations featuring select warbirds and vintage aircraft, weather and traffic permitting, to include fly-bys and “race-track” pattern flying commemorating the first flight in 1913. Get close-up and personal with the aircraft and pilots during a “Meet and greet” at Bald Mountain Air where the Warbirds and Vintage Aircraft will be on static display. Learn about the First Flight Story, historically significant regional pilots and flights and facts about each aircraft on display on the ramp. Drawings for free prizes and free posters will be available for pilot autographs. 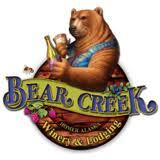 A community gathering will be hosted at the Bald Mountain Air Hangar. 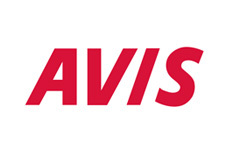 Complimentary sandwiches and drinks courtesy of Homer Air, Pathfinder Aviation and Maritime Helicopters, will be provided. Select panels from the “Traveling Museum Exhibit” will be on display featuring the First Flight and significant and historical pilots. Pilots will barnstorm Iliamna upon arrival. Select aircraft will fly “race-track” pattern and runway flybys to encourage the community residents’ participation at Iliamna Airport. “Meet and Greet” the pilots at Crowley Petroleum, Iliamna Airport. Learn about the First Flight and interesting facts regarding each aircraft being flown. There will be drawings for free prizes and free posters available for pilot autographs. Come and watch the Centennial Pilots arrive at King Salmon Airport and conduct aerial demonstrations featuring select warbirds and vintage aircraft, weather and traffic permitting, to include fly-bys and “race-track” pattern flying commemorating the first flight in 1913. 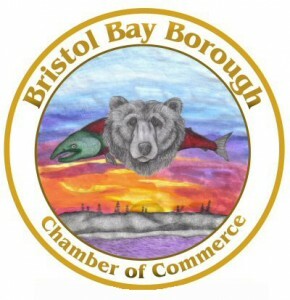 Come and join the community gathering, barbecue and potluck hosted by the Bristol Bay Chamber of Commerce at the King Salmon Airport. Museum Exhibit will be on display at the airport, weather depending. The museum exhibit features interpretive panels on the First Flight and historically significant pilots and regional events. Pilots will barnstorm Dillingham upon arrival. Select aircraft will fly a “race-track” pattern and runway flybys recreating the First Flight event of 1913 and to let the community know the Warbirds and Vintage Aircraft have arrived at the Dillingham Airport. Come to the Bethel Airport to watch the Warbirds and vintage aircraft arrive at the Bethel Airport fly “racetrack” pattern and fly-bys recreating the events of the first flight in 1913. 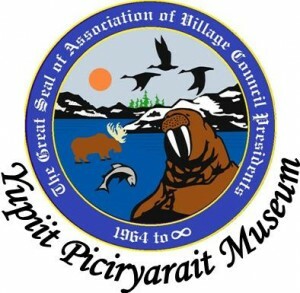 The Yuut Yaqungviat Flight School and Regional Aircraft Maintenance School will host a community barbecue at their hangar at Bethel Airport. 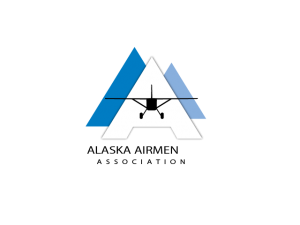 Sponsors include Northern Air Cargo. A few Museum Exhibit panels will be on display at the airport. Exhibit features interpretive panels on the First Flight and historically significant pilots and regional events. “Meet and greet” the pilots at the Yuut Yaqungviat hanger at the Bethel Airport. Learn about the First Flight and interesting facts regarding each aircraft being flown. Drawings for free door prizes sponsored by Ryan Air, Grant Aviation, Fish and Wildlife Service and free posters will be available for pilot autographs. Fund, and the Alaska National Guard. Panels from the Museum Exhibit will be on display featuring the First flight and historically significant pilots and regional events. Bethel Chamber of Commerce Breakfast Host the Centennial Pilots. Pilots will barnstorm Aniak upon arrival. Select aircraft will fly a :race-track” pattern and runway flyby awaking the community to the arrival of the Centennial Warbirds and Vintage aircraft recreating the event of the First Flight that day in 1913. “Meet and greet” the pilots at the General Aviation parking area at Aniak Airport. Learn about the First Flight and interesting facts regarding each aircraft being flown. Drawings for free prizes and free posters will be available for pilot autographs. Come and watch the Centennial Pilots arrive at McGrath Airport and conduct aerial demonstrations featuring select warbirds and vintage aircraft, weather and traffic permitting, to include fly-bys and “race-track” pattern flying commemorating the first flight in 1913. “Meet and Greet” the pilots at the General Aircraft Parking area at the McGrath Airport. Community Barbecue and potluck sponsored by the City of McGrath, Pay Dirt General Contractors and Susie’s Iditarod Café. Learn about the First Flight and interesting facts regarding each aircraft being flown. Drawings for free prizes and free posters available for pilot autographs. Pilot will stay for Breakfast at Susie’s Iditarod Café. Come and watch the Centennial Pilots arrive at Galena Airport and conduct aerial demonstrations featuring select warbirds and vintage aircraft, weather and traffic permitting, to include fly-bys and “race-track” pattern flying commemorating the first flight in 1913. “Meet and Greet” the pilots and see the Warbirds and Vintage aircraft on static display at the Galena Interior Learning Academy hangar at the Galena Airport. The Civil Air Patrol (CAP)Yukon Squadron of the Alaska Wing will be hosting the Community BBQ as a fundraiser for our CAP unit. The traveling Museum Exhibit display will be hosted by the Galena Interior Learning Academy in the hangar. Exhibit features interpretive panels on the First Flight and historically significant pilots and regional events. A must see! Pilots will barnstorm Unalakleet upon arrival. Select aircraft will fly “race-track” patterns and runway flybys reenacting the events of the First Flight of 1913. Come and watch the Centennial Pilots arrive at the Nome Airport and conduct aerial demonstrations featuring select warbirds and vintage aircraft, weather and traffic permitting, to include fly-bys and “race-track” pattern flying commemorating the first flight in 1913. The Nome Chamber of Commerce, Nome Visitor and Convention Center and the City of Nome host a community event featuring music, food and a host of events at the Alaska Guard hangar at the Nome Airport. Get close-up and personal with the aircraft and pilots during a “Meet and greet” at the Alaska Guard hangar at the Nome Airport where the Warbirds and Vintage Aircraft will be on static display. Learn about the First Flight Story, historically significant regional pilots and flights, and facts about each aircraft on display on the ramp. Drawings for free prizes and free posters will be available for pilot autographs. Museum Exhibit display hosted by the Nome Chamber of Commerce, Nome Visitor and Convention Center and the City of Nome will be available for viewing in the Alaska Guard Hangar. Exhibit features interpretive panels on the First Flight and historically significant pilots and regional events. See the Warbirds and vintage aircraft barnstorm into Kotzebue. Pilots will park at the Alaska Guard Hangar, Kotzebue Airport. Kotzebue will host a community event at the Alaska Guard hangar located at the Kotzebue Airport. “Meet and greet” the pilots hosted by the Alaska Guard at the Kotzebue Airport. Learn about the First Flight and interesting facts regarding each aircraft being flown. There will be Door Prize drawings for free prizes and free posters available for pilot autographs. 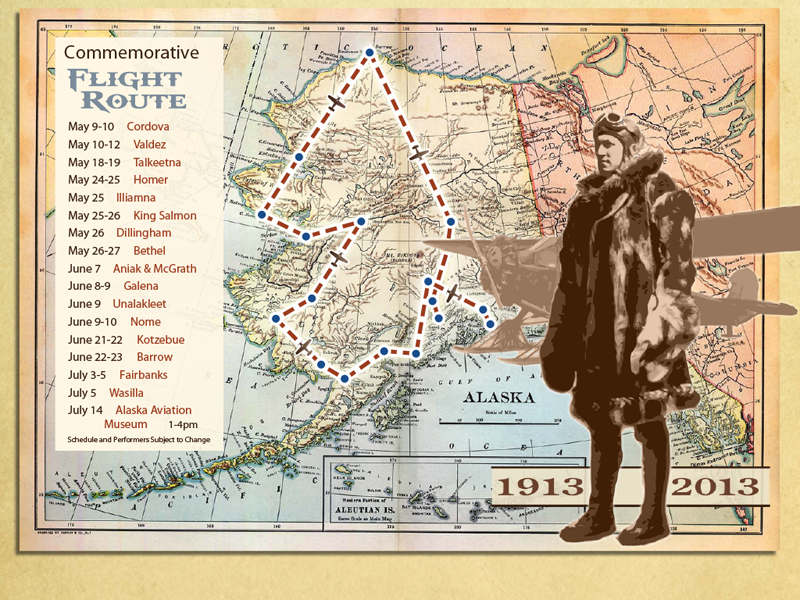 Museum Exhibit display featuring interpretive panels on the First Flight and historically significant pilots and regional events will be hosted by the Alaska Guard at the Kotzebue Airport. Pilots will barnstorm Bettles upon arrival. Select aircraft will fly “race-track” patterns and runway flyby commemorating the First Flight of 1913. “Meet and greet” the pilots at the Bettles Lodge and learn about the First Flight and interesting facts regarding each aircraft being flown. Door prize drawings will be given away and free posters will be available for pilot autographs. Watch Warbirds and Vintage Aircraft as they fly-over Pioneer Air Park, the City of North Pole and the town of Ester, officially opening the day’s festivities and picnics at all locations. Join the Alaska Airmen’s Association as they host a community cook-out at the new University of Fairbanks Career and Technology Center (UAF/CTC) off of University Avenue, East Ramp, Fairbanks International Airport. Get close-up and personal with the aircraft and pilots during a “Meet and greet” at the static aircraft display. The First Flight Story, historical flights and facts about each aircraft will be on display at the UAF/CTC hangar. Drawings for free prizes and free posters will be available for pilot autographs. Watch as these same aircraft take to air again, flying a “race-track” pattern at Fairbanks International Airport, recreating the actual event that day in 1913. Come and watch the Pilots barnstorm Wasilla upon arrival. Select aircraft will fly a “race-track” pattern and runway flybys reenacting the events of the First Flight in 1913. “Meet and greet” the pilots at the General Aviation parking area at the Wasilla Airport. Learn about the First Flight and interesting facts regarding each aircraft being flown. Drawings for free prizes and free posters will be available for pilot autographs. 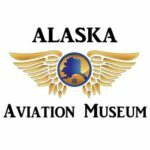 A Museum Exhibit display hosted by the Wasilla Airport will feature interpretive panels on the First Flight and historically significant pilots and regional events will be available for viewing in the pilot shack at transient parking. Salmon Bake featuring celebrities Patty Wagstaff and Debby Geary.